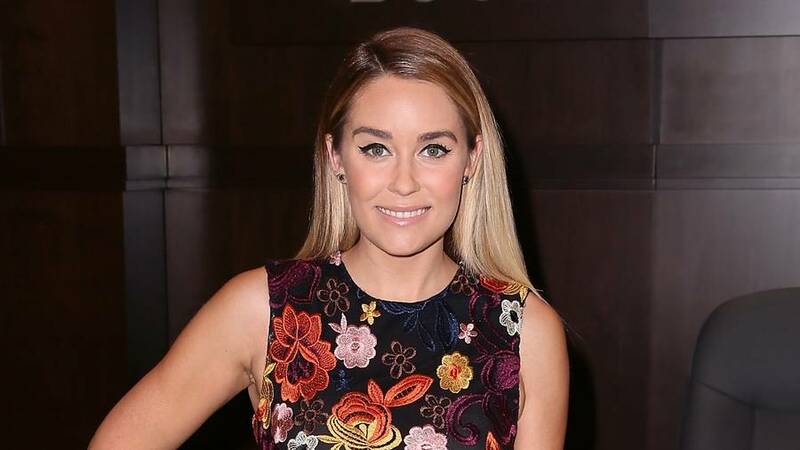 Lauren Conrad came back to MTV for a night and it was magical! If you were a Laguna Beach fan and a Hills fan then you were just as excited as I was for her big return for The Hills special last night. I love Lauren Conrad. She's so different from the normal reality television stars. It was obvious that even while watching the show, as planned out as it was, she would walk away from situations that made her uncomfortable. She was always herself and as she grew up she was able to admit when she was dramatic but also that it was her real dramatic self. It was definitely interesting to see the other side and never before seen video clips of the show. As much as I loved LC & the gang there was a lot about the show that disappointed me. The fact that Lauren Conrad got my dream job at Teen Vogue just because she was on television made me sad. It's not that she isn't good at what she does, but it's that the job got taken away from someone who probably deserved it. The next thing was when Lauren let her friends into the Teen Vogue party and sat in the ONE place her boss told her not to sit. If she wasn't a reality television star she would have been fired. She SHOULD have been fired. That was completely unacceptable. Of course, she didn't get fired though which lead to her choosing a boy over Paris. I literally LOL'd when her and Jason broke up. I was hoping that she had learned her lesson at that point... but of course, she didn't. When she finally got to go to Paris with Witney she convinced Witney to go off schedule and get the dresses before the shoes... and the shoe store was closed. You had one job LC. Let's not forget how she wore her ball gown dress out to a club and then she gets a burn on the dress. Again, any normal person would have been fired, but because of who she is she got away with it. It was stuff like this that gave me such a headache. There is some envy when I speak of this because Teen Vogue is my dream job and if I ever get the opportunity that she did I would never make mistakes like she did. It sounds like I'm hating on LC, trust me I'm not. She was young and made mistakes .. that's fine. To each their own. She has a huge empire now and I love her clothing items. It's a great representation of her. She has a great work ethic and never got unfocused from her own goals. She's an amazing designer and her passion is inspiring. I love her brand and everything she stands for in the fashion world. "I think I knew even early on that that wasn't my rue. I mean this whole brand that we've built is based on accessibility. It's saying like, we want everyone to feel good about how they dress. You don't want to be like, this is like where we are like don't you want to be fancy like this. It's like look lets all wear cute clothes together. We've always have a very feel good vibe in our brand (Lauren Conrad)." LC is a great inspiration for girls everywhere. She's beautiful, well educated, passionate, goal oriented, creative and very humble. I will literally buy anything with Lauren Conrad's name on it because of how much of a role model she is. Did you watch The Hills special? What did you think about it?